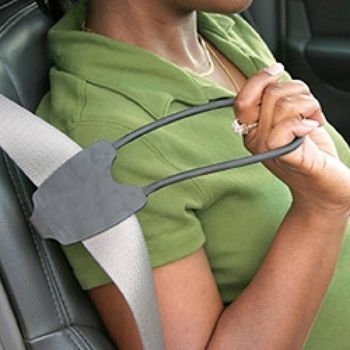 Easily attaches to seat belt on either driver or passenger side (front and back). Reduces the need to twist when reaching for the seat belt. Portable with no permanent installation required.